GS Rider: GSrider.net is enough now! 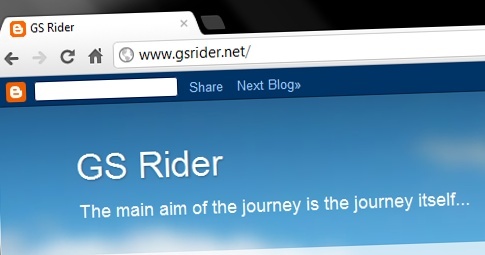 Hello, I am glad that I can announce that from now on I am running on my own domain name (GSrider.net). So you don't need to spend eternity with typing the whole old address bmw-gs-rider.blogspot.com (but this one works as well).